In my kitchen this month are so many new things, Maus has told me I have to hold some things over for next month. That one is ruthless, I tell you. Is a Lebanese water jug (brik). These are everywhere in Lebanon and we wanted to buy one but didn’t see them for sale which, as it turns out, was lucky for us. This guy (which is not of the best quality but was cheap so I am not complaining) comes from the fab shop, Harkola, in Auburn. The wonderful Celia (Fig Jam and Lime Cordial) and Pete took us there whilst we were in Sydney. We were having lunch at Al Aseel, Newtown, when Celia poured us each a glass of water from one. As she did so, she asked, “Do you want one of these?”, to which both Maus and I replied, in unison, “Yes”. Before we knew it, we were whizzing off to Auburn to get one. It is a communal water jug. You drink from it without the spout touching your lips. That way, you keep your bugs to yourself. Is another bread stamp. It also comes from Harkola. As I was roaming around the shop, oohing and aahhing, Celia thrust it into my hands. I am sure it will come in handy one day. Celia uses hers as a chocolate mould. Why not? A small one, a medium one and a large one 🙂 Why I need three ma’mool moulds, I do not know but just in case a small one is called for some time in the future, I thought I’d better buy it when I saw it :). Are three finger limes. They were a gift from Colette. There were four but I ate one to see what they were like. There is no juice, only little crystals that, when sucked, give off a wonderful, peppery lime taste. I have been trying to think of the best way to use them (I put them in my freezer for safe keeping) – I think as garnish on a lemony fish or chicken dish. The crystals are very pretty and come in a range of colours, from crimson to champagne. As you can see, these are a lovely pink. Finger Limes are an understory tree from the rainforest areas of NSW and QLD. These guys, however, come from Pemberton, a town very close to Bridgetown and with a much milder climate than the rainforest areas of NSW and QLD. If they grow in Pemberton, they will grow in Bridgetown so I am thinking, I need a tree. I am off to my local native nursery to see if I can buy one. 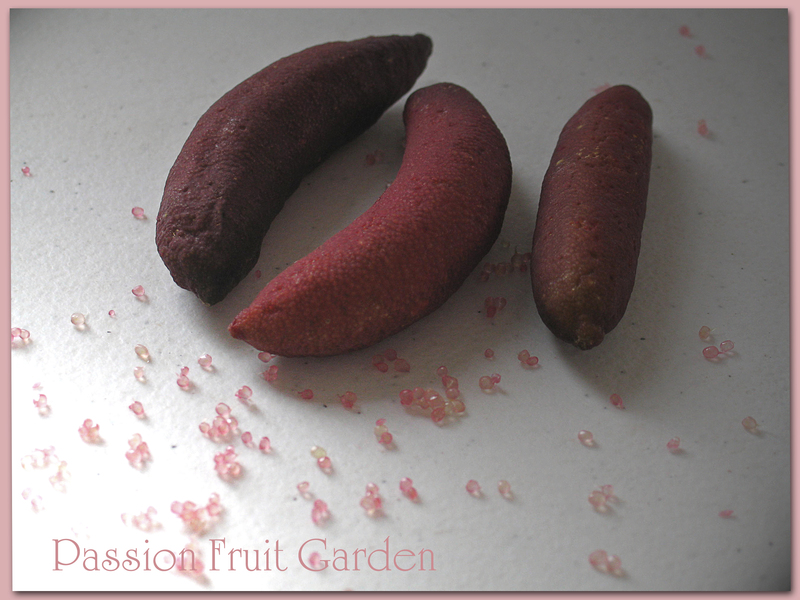 I already have a finger lime and cumquat cross tree, but the real thing looks more exciting. Are two pumpkins. I am sad to say that I didn’t grow them. I found them in my pantry when I came back from Sydney. My sister, Sandra, and her friend, Merle, stayed in our house to look after our babies whilst we were away. Merle grew them. She said she just saves the seeds each year. This year, she ended up with three wheelbarrow loads. Merle advised that they will last up to a year in the pantry which is fantastic. I think I will grow some next year. They are quite small so it is not like cutting a big Queensland Blue and then not knowing what to do with three quarters of it. 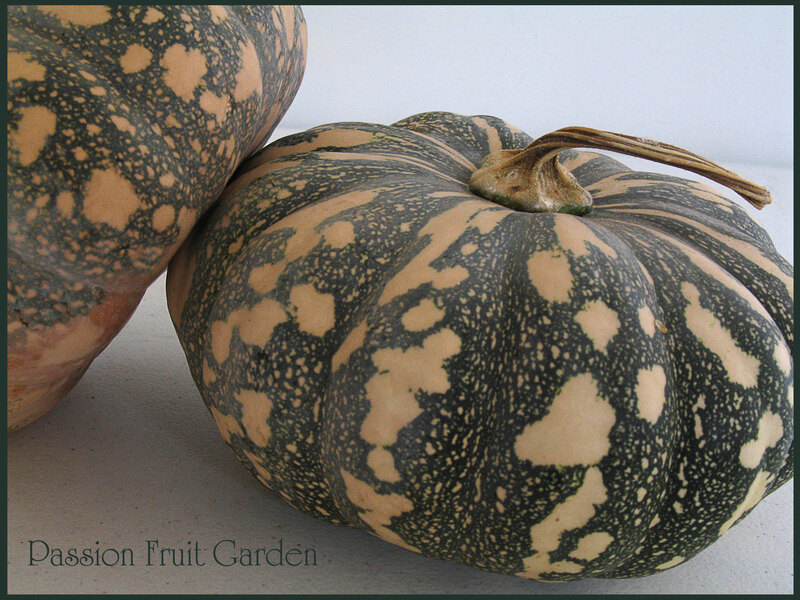 I think they are Kent pumpkins. Are chillies and there are chillies galore in my garden. Friends, Deb and Gail, handed me a pot of baby chilli plants early in the season and I planted them. They are large chillies, much like the ones you get in the shops. Does anyone know the variety? I froze these. Are leeks. I grew these ages ago and they are just now ready for eating. They certainly take a long time to mature. We have about 8 more in the garden. At least, they are not all maturing at once. 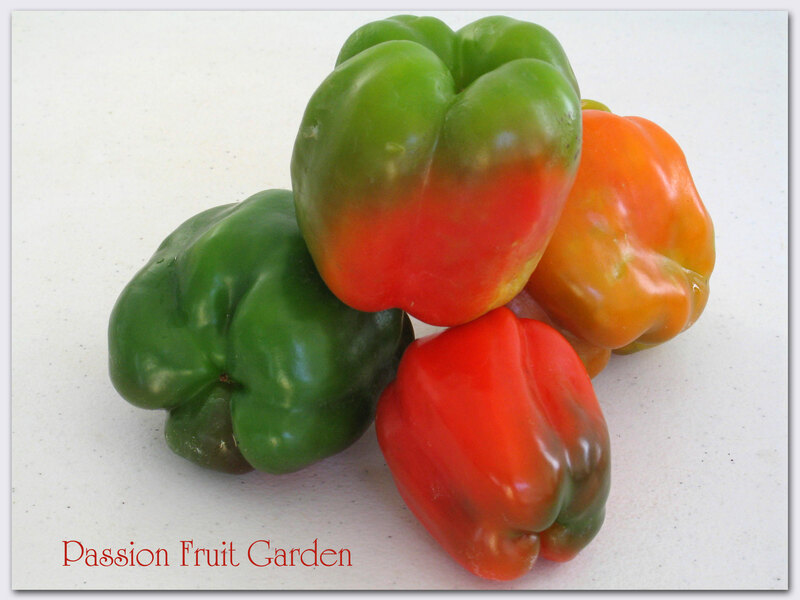 Are capsicums… and there are lots and lots to come. I looked up the web and all you have to do to freeze them is cut them into pieces, put the pieces on a tray and, when they are frozen, bag them. Simple. I have plans for them but I need more. Chives and lots of them. Whilst we were in Sydney and Perth, the chive clump went mad. It desperately needed to be cut back so I snipped off this mountain. I froze half (again, just lay it out on a tray and, when frozen, bag it) and dried the other half. When we left Bridgetown to come back to Perth, the chives weren’t completely dried so I am trying to finish them off in my oven (fan only). I hope it works. Were chestnuts from our two baby trees. I am not certain whether l don’t particularly like chestnuts or it’s just that I don’t know how to cook them properly. We ate this lot, just ’cause we grew them, but it was an ordeal (in more ways than one – think digestion issues here). Now to some of our Sydney purchases… Maus has barred me including everything in this IMK so come back next month for more. Is this cute little spoon rest clip. Maus bought it, not me. 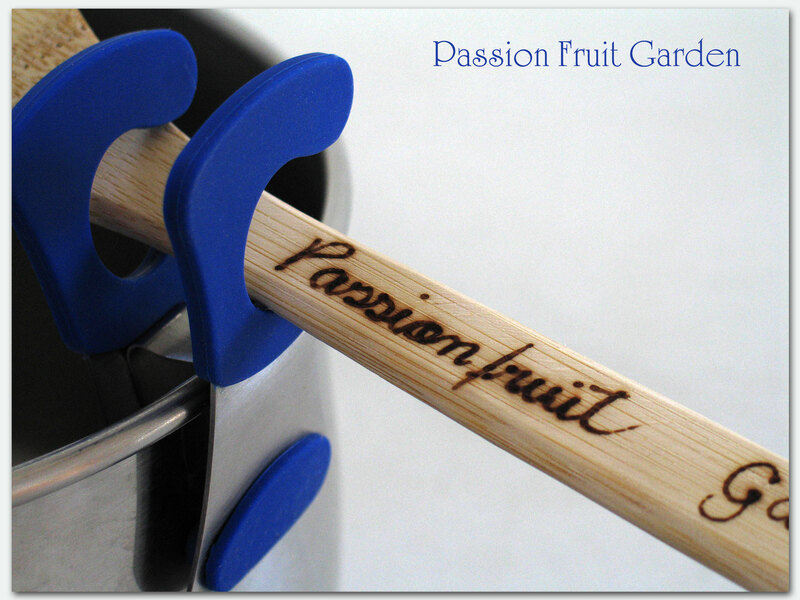 You clip it to the side of your pot and rest your spoon on the hook. Dig my spoon. It comes all the way from Brazil, courtesy of Anna and Faye. Is this very flash dishwashing brush. Since we already have such a brush, I have been using this one to brush flour off the bottom of my bread. It does a great job. I love the colour. 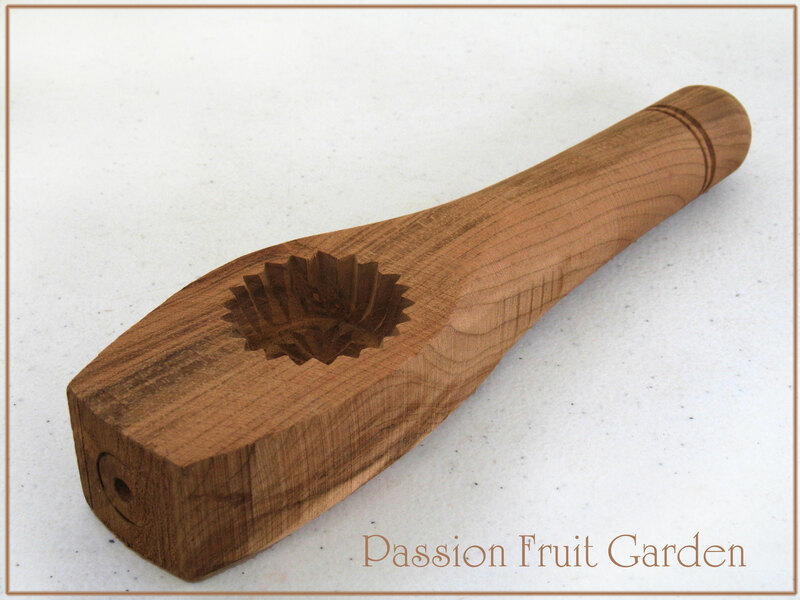 The handle is bamboo. Is a Römertopf!! No raised eyebrows from anyone. I know I don’t need it. In fact, if it is possible to have too many cooking dishes, I do, but … it is all Celia’s fault. She is the one who implied Römertopf are an essential item in every kitchen. So what was I to do. I already have plans for it. Funnily enough, after lugging it home from Sydney, I saw two in the second hand shop in Balingup. Luckily, they were the small ones so my efforts weren’t in vain. Is another bread roll stamp … and now there are three. This time, it is the spiral one. Celia reckons this one is the best. I will let you know. That is all I am allowed to show you this month. We had a great time in Sydney, in part thanks to Celia and Pete’s wonderful hospitality. 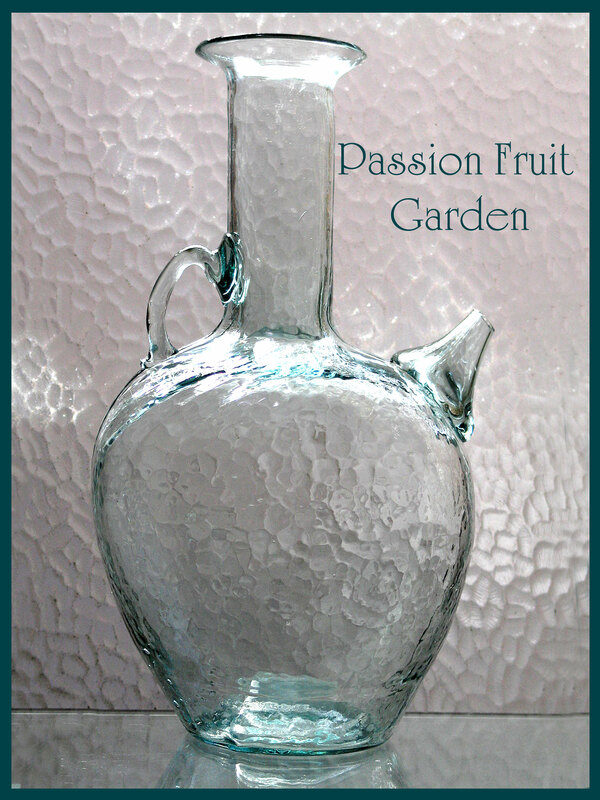 This entry was posted in In My Kitchen and tagged Bread roll stamps, Bread stamps, Finger limes, Harkola, Kent pumpkins, Lebanese water pitcher, Ma'mool mould by Glenda. Bookmark the permalink. Hi Tania, that Celia does love to shop she is also a good sales person. What was I to do? I love your collection of moulds. Nice to have pantry fairies who deliver pumpkins! Hi Francesca, pantry fairies are the antz panz. Hi Glenda, wow! lots happening in your kitchen but I laughed when I saw the Römertopf – I am stalking them at our local kitchen shop at the moment because of Celia too! Looking forward to hearing what you cook in it. That Celia has a lot to answer for. What are we going to do with her? I love that bread stamp from Harkola with all of those Middles Eastern icons – would look great pressed into shortbread I think. Looks like you got a good haul from Sydney and the garden was well cared for whilst you were away. My chives grow like weeds too! Thanks for sharing Glenda. You know Fi, that is a bloody brilliant idea re the shortbread!! Hi Fiona. I am going to give shortbread a try. Thanks for the idea. I love that glass jug and I’m envious of your fresh produce. Looking at your pumpkins, I think I did harvest mine too early. I was given to understand that the stem would shrivel after harvesting, but I’ll leave the ones still growing on for longer and see how they go. I’ve heard that they last a long time in storage too… Pumpkin are such marvellous things aren’t they?! Your kitchen is just full of so many gorgeous things. I can’t wait to see the rest of the treasures next month! Hi Lisa, Good luck with the pumpkins. Great IMK post. Glad you had a wonderful visit. We love finger limes. Great as a dressing for any sort of seafood and also popped into glasses of white wine spritzer or sparkling wine. We were also the recipient of a home grown pumpkin so I’ll be making chicken stock this weekend in preparation for a batch of roast pumpkin soup. I’m fighting the urge to acquire a Romertopf. Ella, why fight, they are not particularly expensive. Hi Joanna, You are so right about Celia’s bad influence. There is a run of Romertopfs in Sydney! Celia has much to answer for! In so many ways. Having read this, there are so many things I feel a need for. I’m very taken with the bread stamps. When we transplant our leeks, we too put them in a deep hole that we don’t fill in though watering them in seems to firm them in the hole. To make the hole, Bill has welded a bit of metal onto a piece of pipe to push it down with his foot – it looks like a pogo stick with only one foot-hold – so he doesn’t have to bend down. Hi Anne. I am definitely going to follow the Doc’s advice when I transplant my current babies. (Maus is already considering Bill’s pogo stick.) That is one of the best things about blogging, picking up a little hint here and a little hint there. That Celia is a killer. I now have two full kitchens. The bread stamps are fun. I use mine regularly. Those bread presses are a treasure, Glenda! Hi Misky, They are great fun, I have made loads of bread rolls since I have had them – now for the spiral one. So wonderful that you got to visit with Celia and Pete and go shopping together- And really- Celia isn’t too much to blame for sharing her enthusiasm for baking utensils- and everyone can always use another bread stamp, IMO! The finger limes sound fantastic- and how great to come home to pumpkins in the pantry! Thanks for sharing- it was an adventure! Thank you so much Heidi. I love to show off all the new things too!! G’day ABSOLUTELY loved your kitchen view this month Glenda, true! Can I be invited to your kitchen…love peeking in other people’s kitchen’s (with their permission) every month too! So many wonderful treasures Glenda – fabulous! I am looking forward to seeing what else you have next month. Thanks Mandy, we had fun. Celia, you are the best! I don’t know that I needed the bread stamp, although I am sure it will come in handy. All the rest were bare essentials!! Your turn. This post really makes me smile Glenda…so many ‘essentials’ like the fancy bread stamp and home grown goodness too! I have never tried finger limes or chestnuts. Have I been living under a rock I wonder? It sounds like you had a great time with Celia and Pete, I can imagine they are wonderful hosts! Happy cooking and thank you for the tour. Hi Jane, There are so many ‘essential’ one does not know where to start 🙂 Jane, you could probably grow both finger limes and chestnuts. 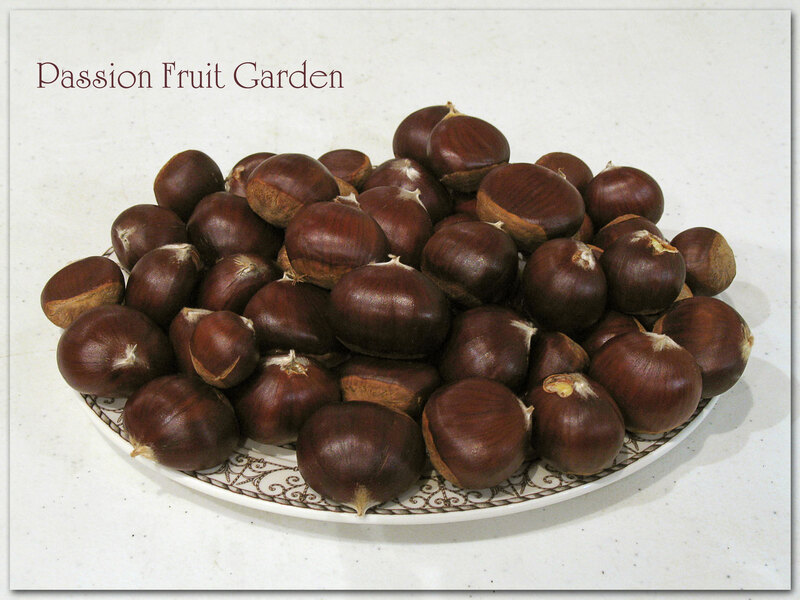 I think I need a lesson in cooking chestnuts though. The digestive system really took a battering. Hi Kylie, thanks for stopping by and commenting and thanks for the compliment. Woah! So many great things in your kitchen. I really covet those bread stamps. Makes me want to go to Sydney just to get some 🙂 I have finger limes IMK as well this month. They grow as far north as Queensland so you should have no problems in Bridgetown. My capsicum crop got entirely eaten by bugs 😦 so I am glad to see someone can grow them. Last time I froze them raw the whole freezer stunk of capsicum, so now I chargrill them and freeze them that way. Less smell. Glad to hear you had a good time in Sydney. Hi Tania. I would have thought Bridgetown would be too cold but if they grow in Pemberton, they should grow in Bridgetown. My freezer doesn’t smell of capsicum even though I froze it raw. How interesting. BTW the three vinegar mothers you gave me failed to thrive (that is a medical term). I have two going, one from Braggs apple cider vinegar and one from something that was growing in the bottom of one of my bottles, so all is well. They are growing finger limes as far south as Denmark so you should be fine 🙂 Sorry to hear my mothers were duds 😦 but I’m glad you now have some. I saw you gave Celia some vinegar so was happy you managed to find a mother. Hi there Glenda! What a wonderfully exotic IMK from you this month! What is ma’mool? I am still in awe of all the good things in your garden… you must have a decent amount of land, no? Ah, the Romertopf. I now have one in my life again (thanks to the very lovely Celia too). As the temperature drops, I am starting to look at suitable recipes. Back to Celia’s blog methinks. That water jug is rather stunning too! Happy cooking. Hi Cathy – Thanks for visiting. Hi Glenda, really enjoyed your IMK post and very envious that you were able to spend time with Celia and go shopping with her!!! 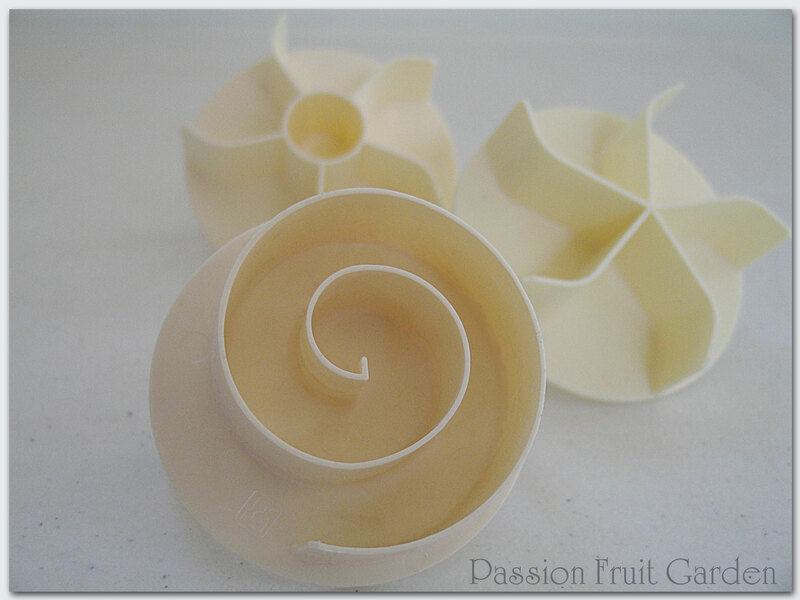 I really like the look of the spiral bread roll stamp and love the moulds and the anti-bug jug too! Thanks for sharing – I look forward to seeing the rest of your treasures next month! Hi Selma, That Celia really makes you spend money. She is a bad influence on all of us. Where do I even begin Glenda? I want everything from your kitchen! Everything except for the chives is so unique. it’s funny because I mentioned to one of our local farmers that I’d lost my entire chive patch (my husband decided to do the burn pile right on top of it). Anyway, he couldn’t believe that someone couldn’t grow chives so he gave me a few to start – in a different area of the yard…Glenda, I’ve got chives coming out the ying-yang as we say! I guess the trick is to not have a huge roaring fire on top of them. 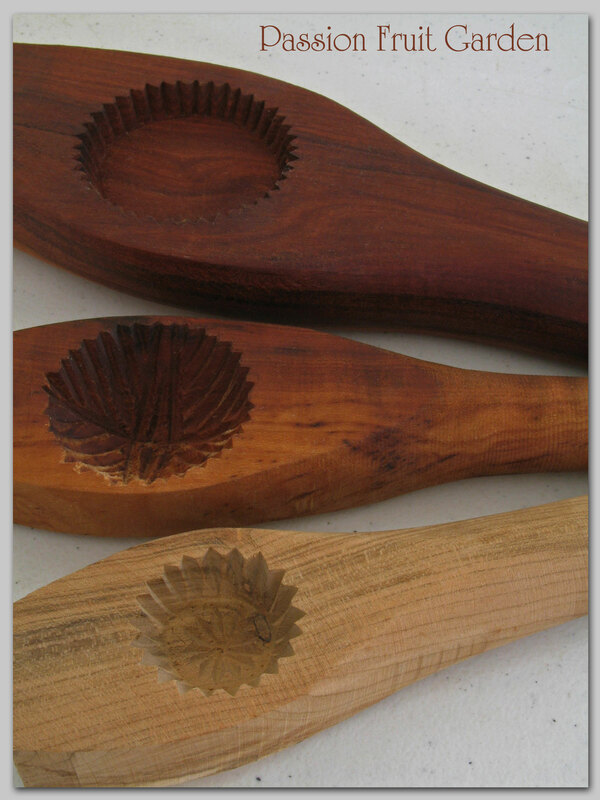 I would love to find one of those spoon holders & will be on the lookout for sure. And I have to confess that it’s just a matter of me getting out there to buy one of those Römertopf’s too. Celia has also convinced me that I need one. I can only imagine how much fun it is to go shopping with Celia! Diane, I think she has convinced the whole of Australia that we need a Römertopf too. I bet there has been a run on them 🙂 I am glad to hear that chives are easy to grow. I preserved mine just in case the plant died. 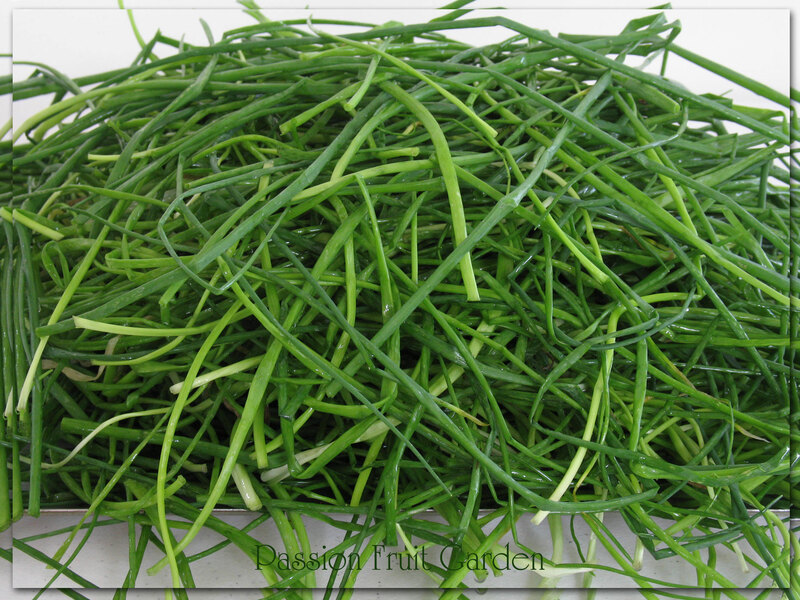 Chives are pretty hard to get in Bridgetown – I know, hick country town. Glenda, you haven’t seen anything like a hick country town until you’ve been to Berlin, Massachusetts. We’ve got more cows than humans. Ooh, do you make cheese? Oh no, no although my daughter got a mozarella cheese making kit that we keep saying we’re going to try. Diane, I would love to make cheese but I haven’t come across a good cheap supply of milk that is not homogenised. I got a Romertopf as a wedding gift years ago and accidentally cracked it, after much use. Never thought to look in a second hand shop for one! 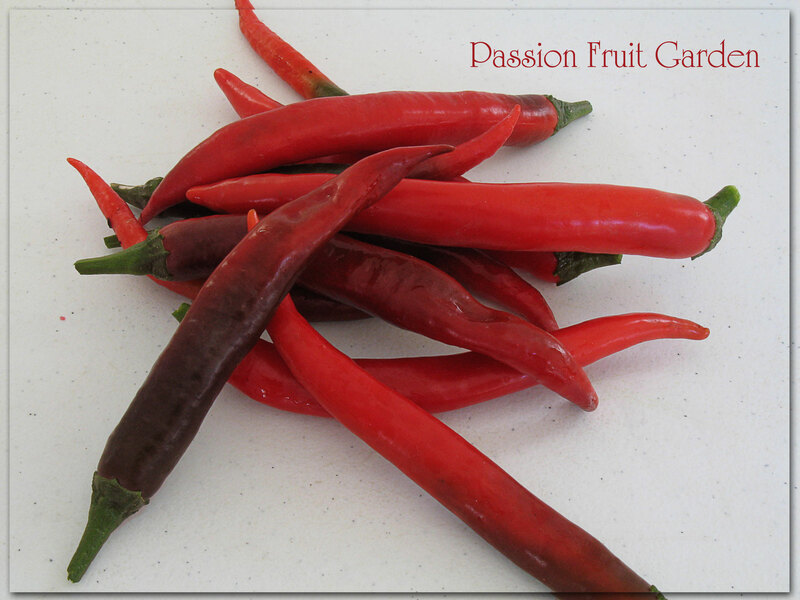 Love the chillies! Kathy, if you read Celia’s blog, you will be off to the shops to get a new Römertopf before you know it. Hi Laila, I think my cupboards are officially full!! Love all of that garden bounty. Our season is just beginning and I can’t wait. I have never heard of freezing chives, I will definitely try this sometime. And all those kitchen gadgets, I could go crazy too! Don’t let me near a kitchen supply store. 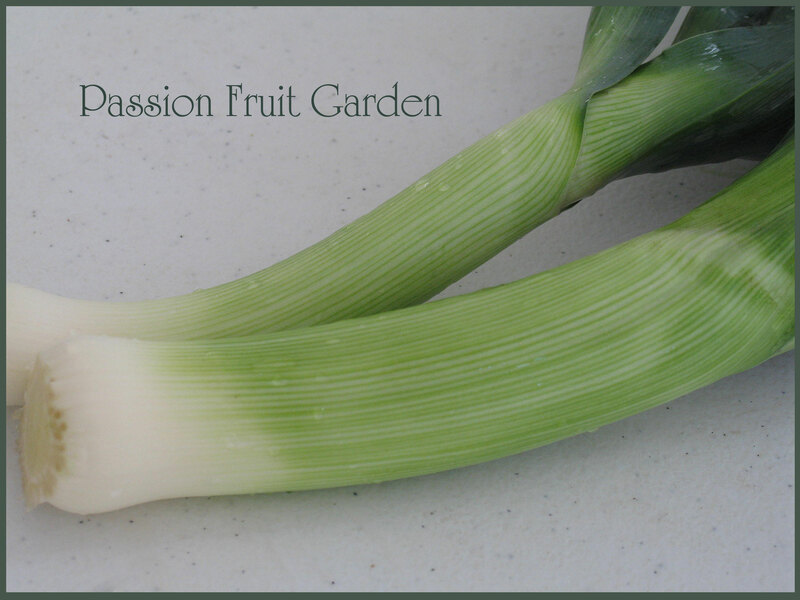 Greetings from Upper West – I love seeing all the bounty from your garden – and as your summer ebbs, ours is just beginning – with your permission, I’d like to make a suggestion for your next crop of leeks (they are a staple in my garden since I can’t grow bulbing onions, and they have taught me a lot over the years) from your pic, I note that your leeks are growing rather shallowly, and if they were planted deeper, you’d have more white. I plant mine by making a hole in my leek bed for each young leek seedling about 6-8 inches deep – then I just drop each seedling in – you don’t even have to pull the dirt up around them, which I think is helpful to them since there is a minimum of leek top above ground at first – but after a few waterings, they begin a rapid upward growth – it’s also good not to pull the dirt up around them too early, since one of the problems with leeks is that they seem to collect lots of sand/dirt in them as they grow. Another thing I’m learning is just how long they can mature before they get woody – currently, I grow my seedlings from early April until end of May/mid June – then they get planted in the garden. They grow right thru the winter, during which time we dig them as we need them, and in late March, they start to send up scapes (seed heads) – that’s the sign that the end is near. I dig them all when I see the scapes coming on, otherwise you risk not being able to use them. Next year we won’t be going away for the winter, so I’ll be able to start my leek seedlings extra early (Jan/Feb) then I’ll be able to put them in the garden in early April – it’ll be interesting to see how that changes their life cycle. Hi Doc, Great to hear from you. Thanks for the suggestion. I have recently planted some more seeds and they are just coming up. When I transplant them I will do as you suggest. It is a great idea. My packet of seeds says you can plant them all year. The ones that are maturing now I think I planted last spring and they grew all summer. I am hoping the new babies will mature next spring. We will see how they go. Thanks also for the tip of picking before they go to seed. I will do that. That brik is beautiful! Love all the bread stamps. 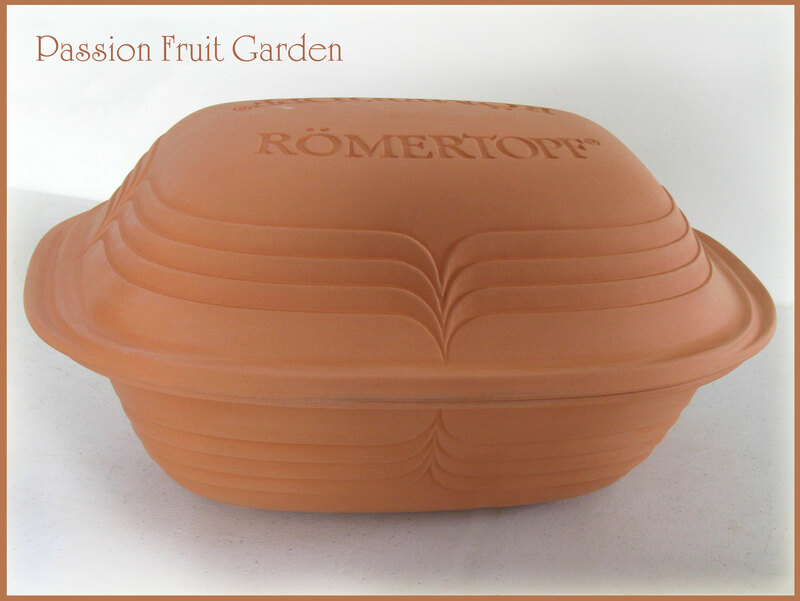 Because of Celia’s great recipes for meat, I also thinking of purchasing a Römertopf even though I already had a clay pot, so it’s no wonder that you did. 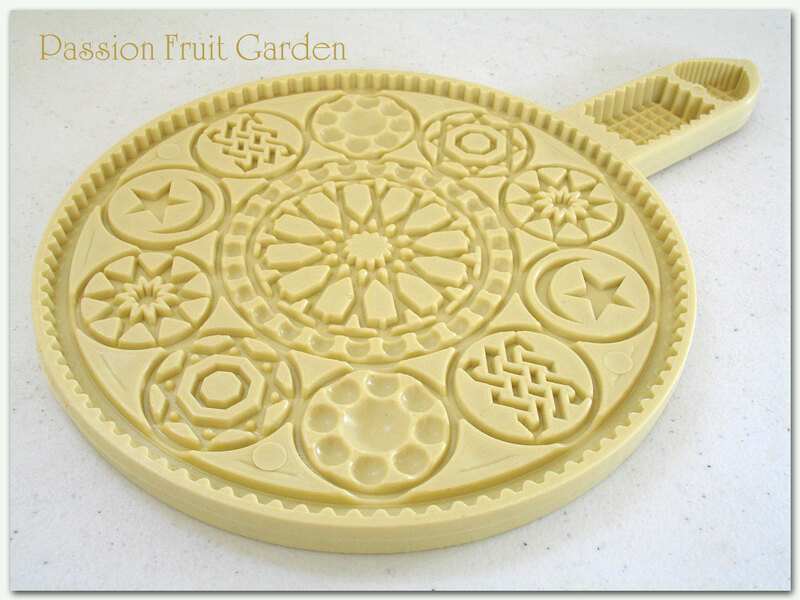 That spoon rest looks very useful – will need to do some internet searching for something similar. Lovely post! Thanks so much Debi, Celia is such a bad influence on us all. Whoa, I’d need an extension to house all that extra hardware, thought I could squeeze the glass jug in! Capsicums are delicious charred, peeled and preserved in vinegar. Interesting you freeze chives. I have no garden, just a few drought tolerant pots, but I do have garlic chives. They regrow within a week after I cut them, I’ve often wondered about how best to keep them. Hi Sandra, it was preserve it or throw it out and I know how expensive a few chives can be – if I can get them in Bridgetown.